What's your idea of the perfect mobile productivity device? Are you the type of user who can do everything from his smartphone, firing off emails in seconds with a deft flurry of thumb-taps? Or maybe you crave the functionality of a full-sized laptop, and accept the trade-off of having bulkier hardware to lug around? Are accessories the answer? 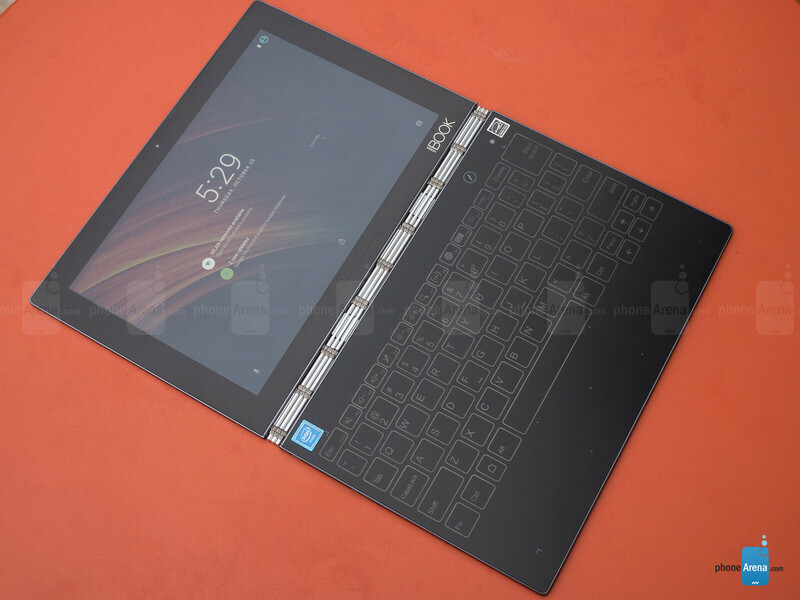 Maybe combining the portability of a tablet with the ease-of-input provided by something like a Bluetooth keyboard? Or does that angle just mean having one more thing to lose, not to mention keep charged? Somewhere in the middle of all these options, there may just be the ideal hardware for mobile productivity, but what form will it take? 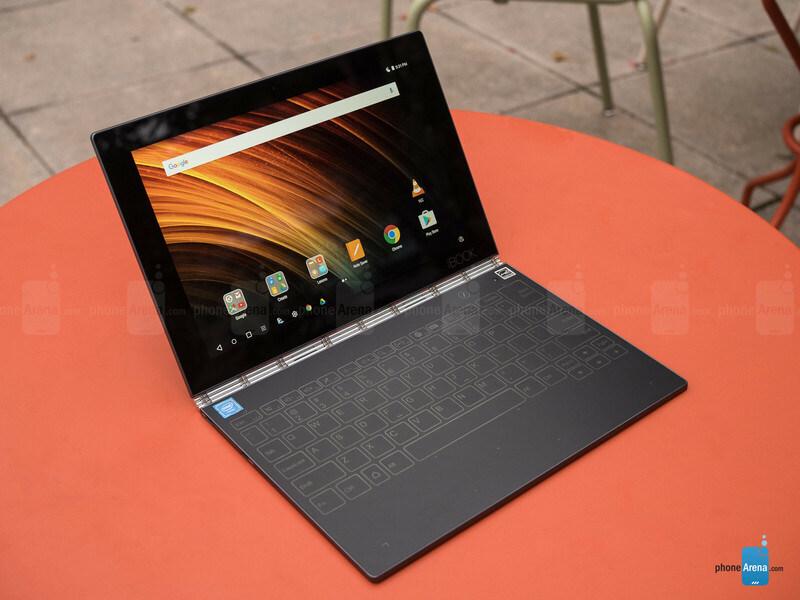 Well, Lenovo sure seems to think it has the answer, with the introduction of its Yoga Book hybrid tablet, an interesting device that looks to combine the functionality of a tablet, laptop, and even a drawing pad, all in one super-portable form factor. The Yoga Book consists of two incredibly thin slates: the top, housing the screen, just about 4mm thick, while the bottom comes in closer to 5mm. Connecting the two is one heck of an eye-catching hinge, capable of folding through a full 360 degrees. 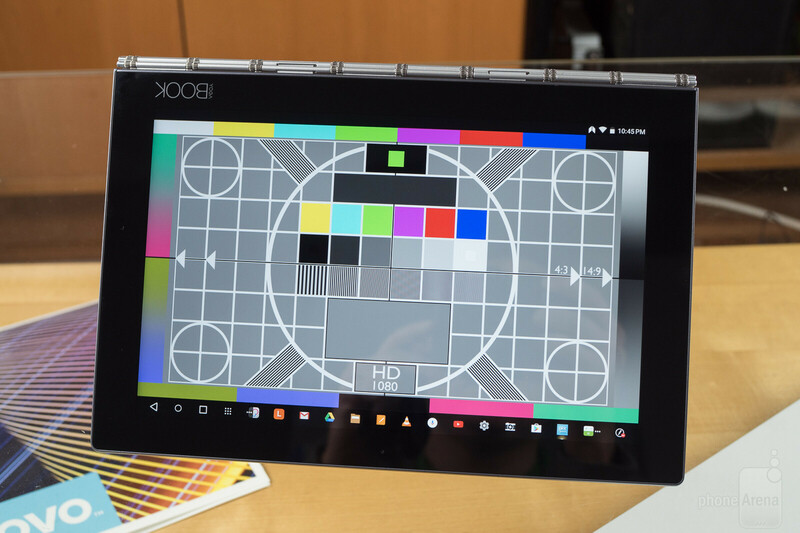 The top slate contains the tablet's screen, a good-sized 10.1-inch panel, but all the really interesting stuff is going on in the other half. First open the Yoga Book, and you may do a double-take: where's the keyboard? 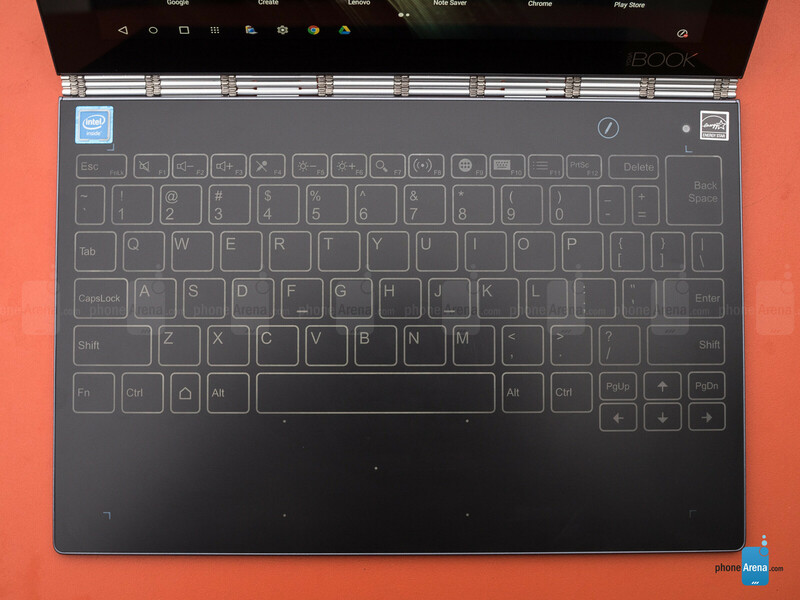 For while the device is built like laptop, that lower slate lacks an obvious physical keyboard. But then the backlight comes on, and the touch-sensitive Halo Keyboard reveals itself: a full spread of illuminated keys hidden within the flat expanse of this lower slate. Think of it like an on-screen keyboard, except these keys aren't taking up valuable on-screen real estate. But the effect of typing on them is very similar, as you miss out the feeling of any real key travel, and have to get by with the buzz-buzz of artificial haptic feedback and a cacophony of beeps that announce each key-press. There's also a touchpad area down below for pointer control – a novel experience for many Android users. 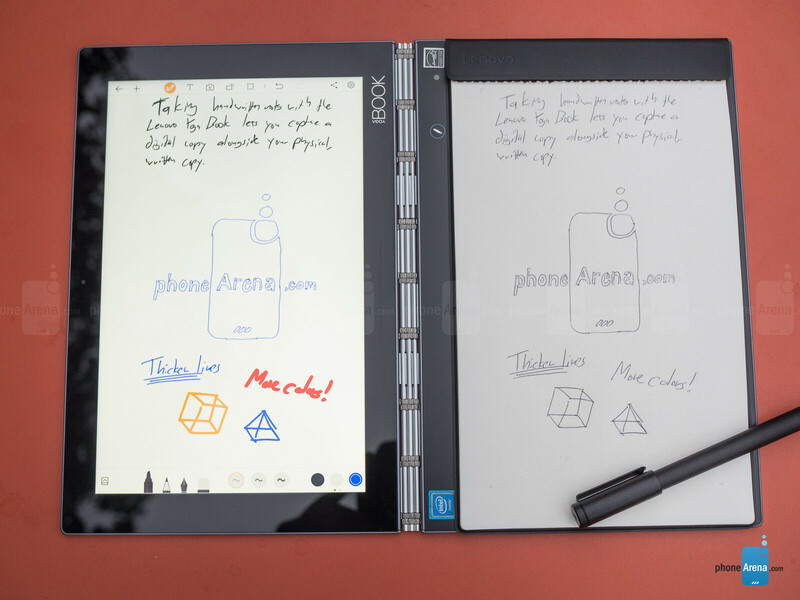 When it's not being used as a keyboard, the lower panel functions as a digitizer for the included Real Pen, an RF-powered stylus that can swap between a standard tip and an ink cartridge. When using the stylus tip, you can write on the Yoga Book's keyboard area just like a dedicated graphics tablet. Pop that tip out for an ink cartridge, slap the magnetically-attaching Book Pad into place, and you can write on real paper while simultaneously recording your pen-strokes on the tablet. 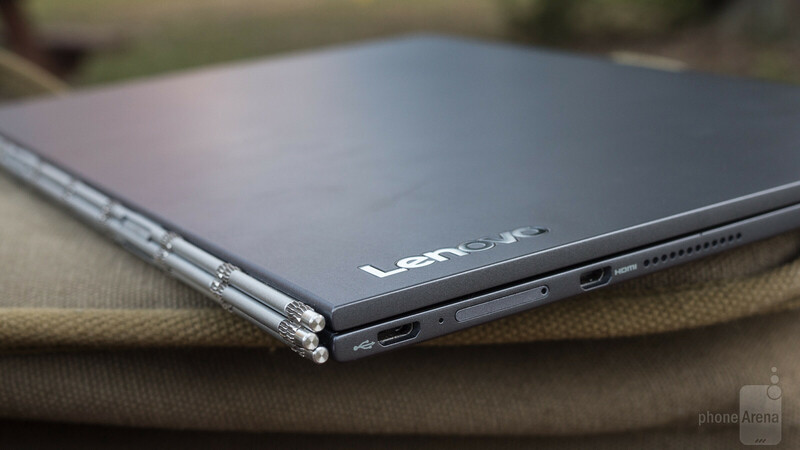 The Yoga Book falls short of real laptop levels of ports and connectivity options, but we do get a few. The keyboard section is bordered by the tablet's volume and power buttons, an analog headphone jack, micro USB for charging and data transfer, a tray that accepts SIM cards in some markets (but for our cases, is just for micro SD), and a micro-HDMI port for video-out. There's also a speaker on each side, for stereo sound. The Yoga Book is about functionality above all else, so it doesn't really try and push the envelope with a particularly high-end screen. Its 10.1-inch display has a resolution of 1200 x 1920, putting it below the growing number of tablets with pixel counts up in the 2K space. But maybe the even more limiting factor is screen brightness. 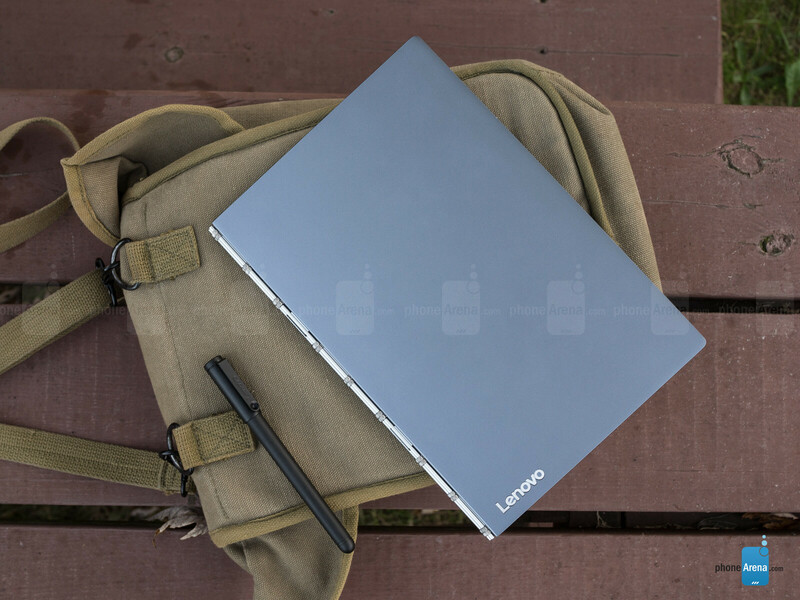 Lenovo quotes a figure of 400 nits, and while our independent tests support that figure (it actually came in slightly brighter in our measurements), that's still a little low for outdoor usage. It should suffice for operation indoors in an office or cafe, but even on an overcast day, we had issues with visibility when taking the tablet outside. 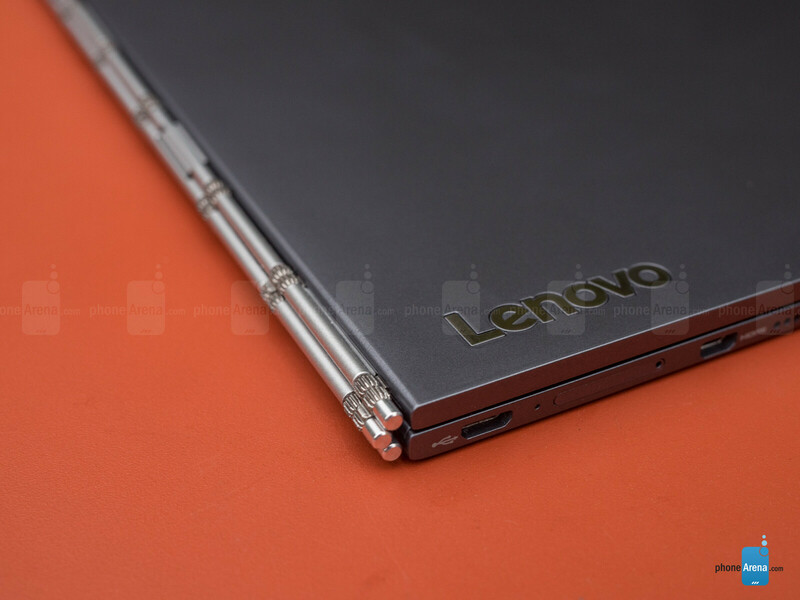 Our issues with the screen are compounded by knowing that Lenovo can do better; the 10.1-inch display on last year's Yoga Tab 3 Pro isn't just significantly brighter at nearly 480 nits, but also higher-res at 1600 x 2560. It's a shame Lenovo didn't return to the same screen here. Just because the Yoga Book has a dedicated digitizer surface doesn't mean the screen misses out on any stylus-input action, and its AnyPen mode allows you to use any conductive object as an input device. While that works well in most cases, sometimes we found the tablet's light weight and lack of a kickstand working against it, and too much tapping on the screen had a tendency to bend the screen further and further back. Lenovo, why even bother? You are not Apple, Samsung or Verizon, T-Mobile tide in.